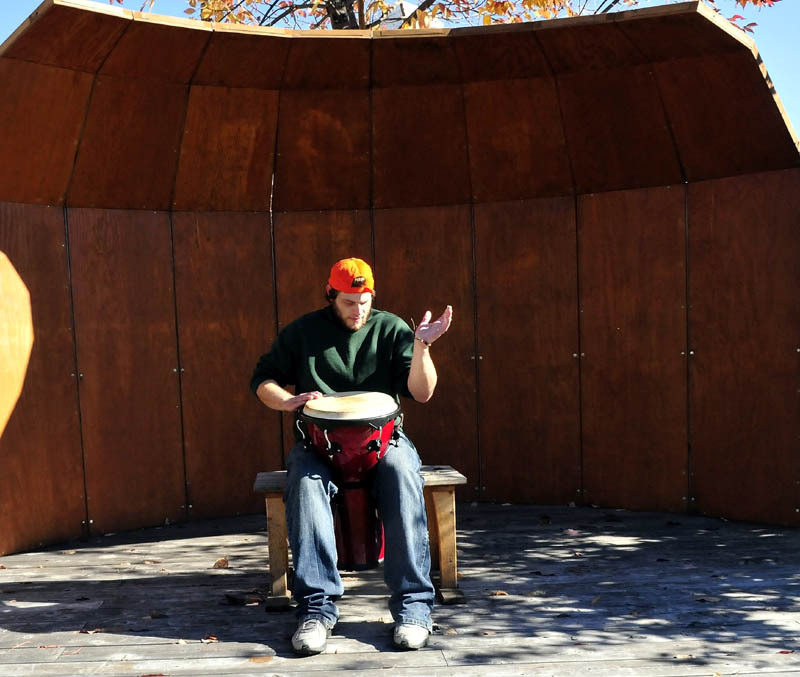 Lucas Lovejoy plays the djembe drum inside the stage at the park in the Concourse in Waterville on Tuesday. Lovejoy said the music sounded good as it bounced off nearby building walls. "It's real cool," Lovejoy said. Lucas Lovejoy plays the djembe drum inside the stage at the park in the Concourse in Waterville on Tuesday. Lovejoy said the music sounded good as it bounced off nearby building walls. “It’s real cool,” Lovejoy said.